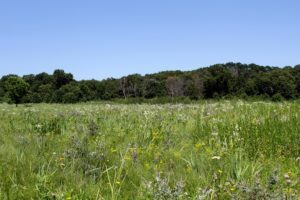 On April 12, 2019, the University of Wisconsin-Madison Arboretum—the birthplace of restoration ecology in the United States—was listed in the National Register of Historic Places. This news is of great personal interest to me (Storm Cunningham), as it was the science of restoration ecology—and the practice of ecological restoration—that led to my first book, The Restoration Economy, which I started writing in 1996, and was published in 2002. One of my first professional memberships related to restorative development was in the then-newly-formed Society for Ecological Restoration. National Register designation provides access to certain benefits, including qualification for grants and for rehabilitation income tax credits, while it does not restrict private property owners in the use of their property. 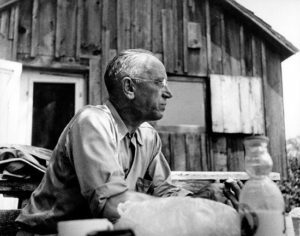 The listing recognizes the Arboretum’s historic significance for pioneering developments in conservation science and ecological research led by influential conservationists like John Curtis and Aldo Leopold. In Wisconsin, the Arboretum is recognized because of its landscape architecture, education and research, architectural elements, and its hosting of a Civilian Conservation Corps camp in the 1930s. She first assessed the Arboretum for its eligibility back in 2003. 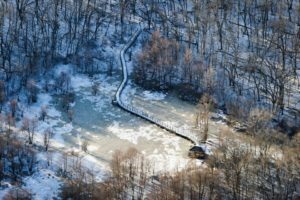 Miller is now working to nominate the Arboretum to be a National Historic Landmark, a rarer designation that bestows greater protection than listing on the National Register of Historic Places. Existing national landmarks on campus include North Hall—the first university building—and Science Hall. In addition to Curtis Prairie (begun 1936), the Arboretum also maintains other examples of the nation’s oldest collection of ecologically restored ecological communities including Teal Pond (begun 1940), Gallistel Woods (begun 1941), Greene Prairie (begun 1943), and Wingra Woods (begun 1943). Research and experimentation carried out at the Arboretum beginning in 1934 pioneered and refined techniques and procedures for restoring and managing many different ecological communities from Wisconsin forests, prairies, and wetlands. 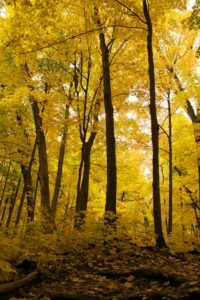 These ecosystems are found not only in Wisconsin but in many areas across the country. 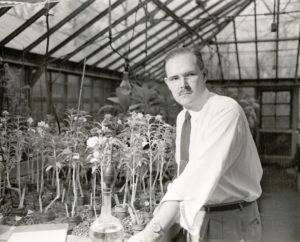 Methods developed at the Arboretum have been disseminated through technical and popular journals and through the academic and professional careers of the many graduates of the University of Wisconsin in conservation-related fields who have studied in the Arboretum. The ecological communities themselves have served as models, inspiring other ecological restoration projects (especially prairies), and have provided seeds to other arboreta and botanical gardens worldwide through the seed exchange program (from 1952 into the 1990s). Ecological restoration and ecologically restored ecological communities were slow to gain approval from conservationists, whose goals were erosion control and sustainable productivity of natural resources, and from preservationists, who sought to preserve pristine natural areas. However, the modern environmental movement of the late 1960s, with its dual aims of preserving natural areas and healing degraded land, brought ecological restoration into the mainstream in the 1970s. It is now regarded as “best practice” in land management for both restored and natural landscapes. 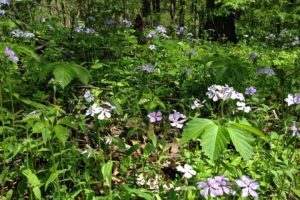 Governmental agencies employ ecological restoration to improve and maintain parks, recreational and natural areas. 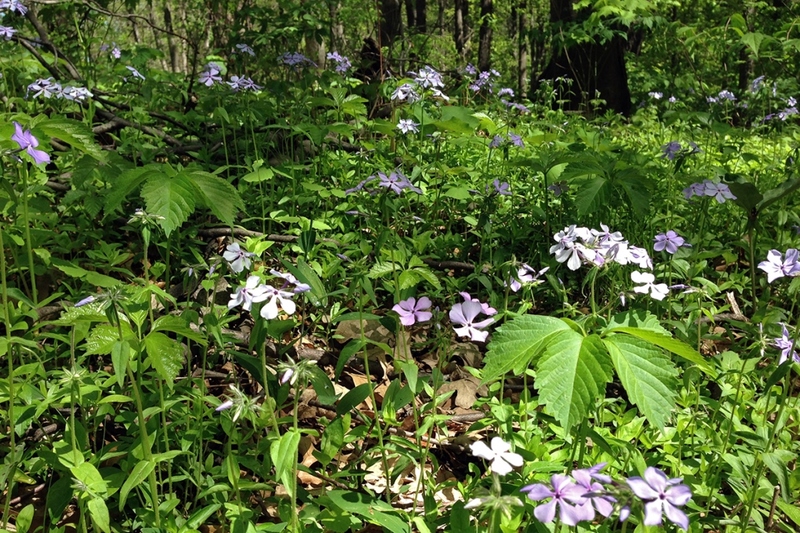 Ecological restoration is utilized for mitigation projects mandated by the National Environmental Policy Act of 1969 (NEPA) and similar federal and state legislation. Increasingly, landscape architects use ecological restoration to re-create native plant communities on small sites, from corporate properties to school grounds, to back yards. 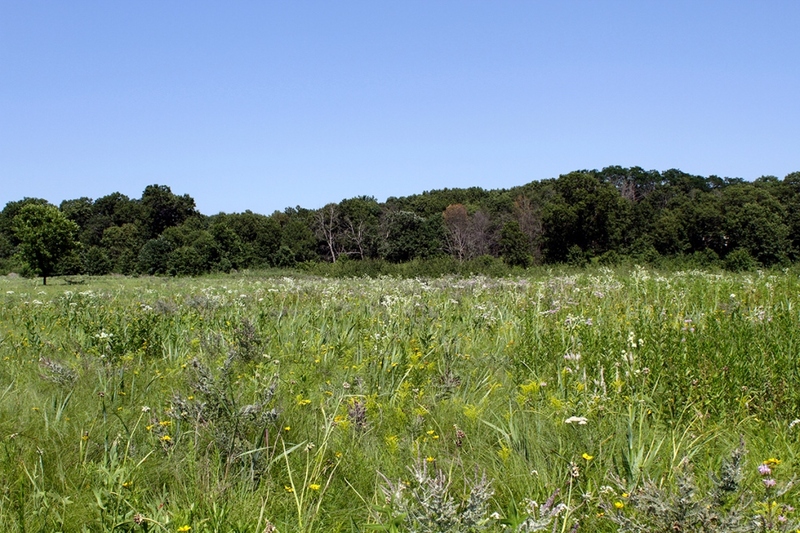 The ecologically restored ecological communities at the Arboretum and the research their development has generated have provided a model and a proving ground for ecological restoration, making the Arboretum the catalyst for transforming ecological restoration into best practice in land management nationwide. The Wisconsin Historical Society, founded in 1846, ranks as one of the largest, most active and most diversified state historical societies in the nation. As both a state agency and a private membership organization, its mission is to help people connect to the past by collecting, preserving and sharing stories. 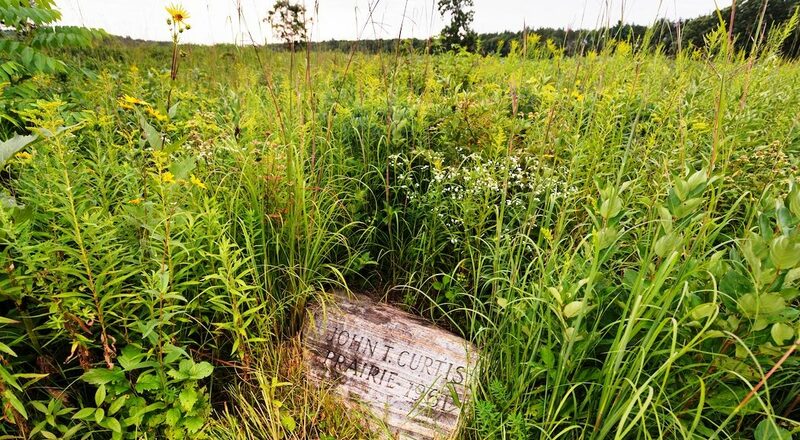 Featured photo by Jeff Miller/UW-Madison shows native prairie plants surround a commemorative rock marking Curtis Prairie at the University of Wisconsin-Madison Arboretum during a summer morning on Aug. 15, 2013. All other photos courtesy of Wisconsin-Madison Arboretum. 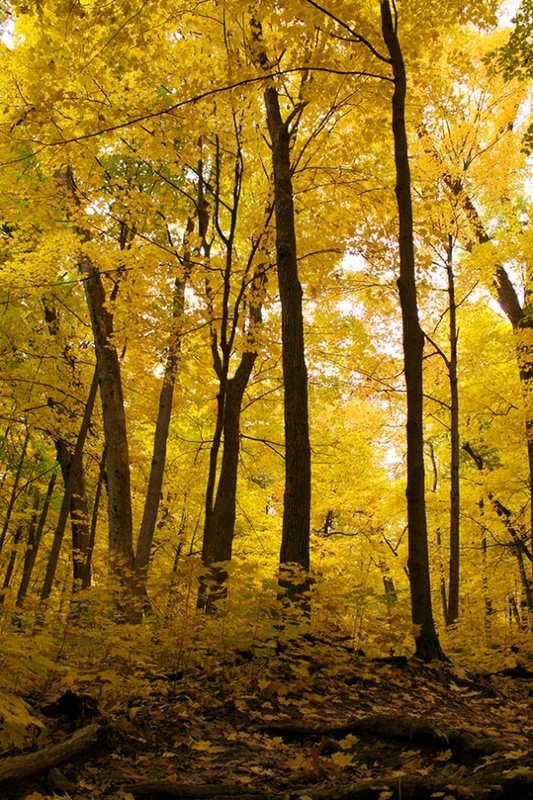 See University of Wisconsin-Madison Arboretum website. See Society for Ecological Restoration website. See Wisconsin Historical Society website.